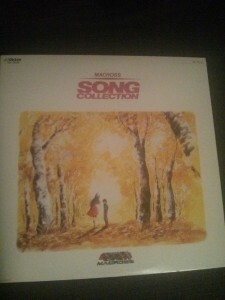 Those of you who know me IRL may be aware that I recently got myself a record player. Naturally, one needs records to play on such a device (unless one wishes to be like the bizzaro world reverse version of a hipster who buys albums on vinyl but sticks them in a frame and never plays them). But what sort of music should I get? 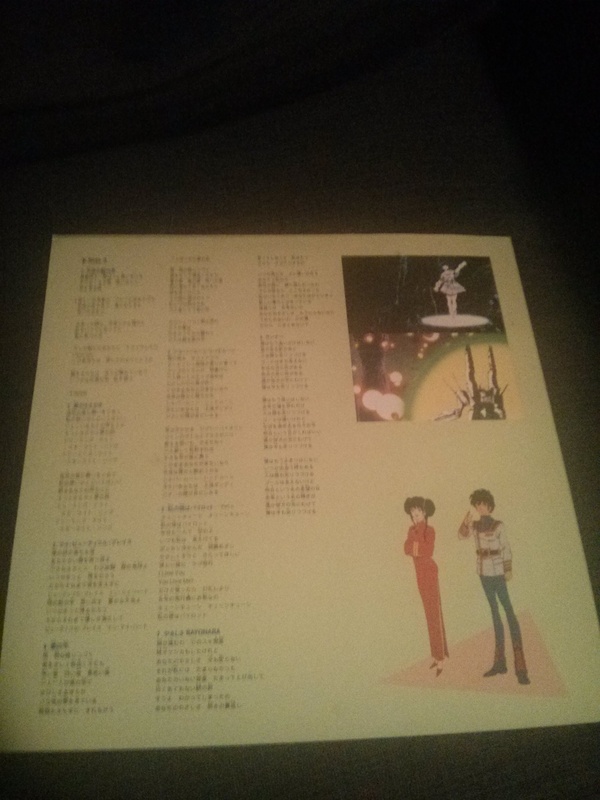 Should I buy Daft Punk albums and “audiophile” remasters of the mono versions of Beatles albums, like the bland middle-of-the-road person I am? 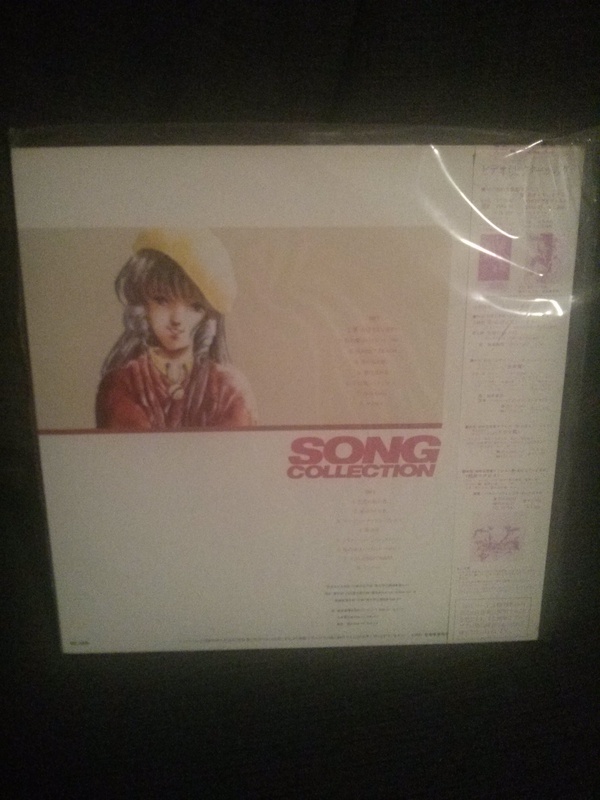 Well, I kinda did get both those things, but I also got this, courtesy of a Japanese guy on EBay. 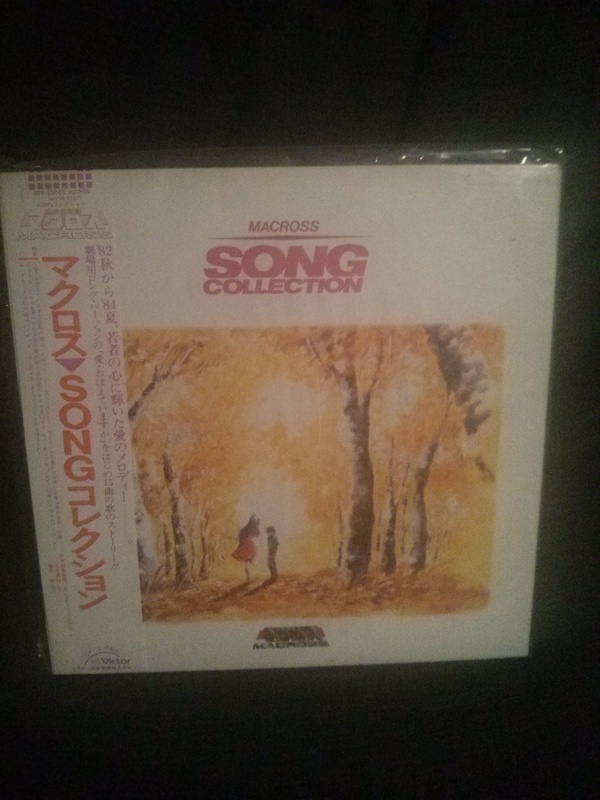 It’s the Macross Song Collection. Complete with the original obi strip advertising such things as the Do You Remember Love film on both VHS and Beta! And here it all is. 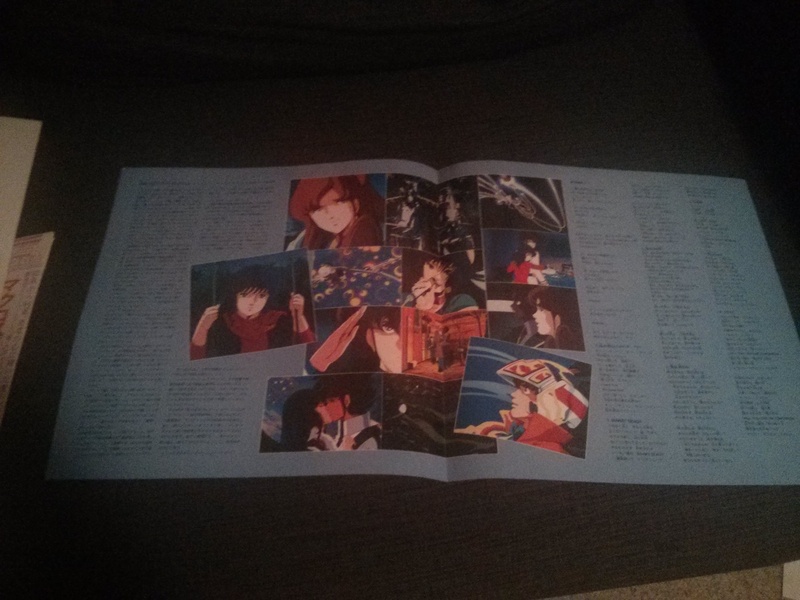 Two glorious sides of mostly Minmay songs (plus the OP and the ED and a few image songs by the voice actress for Misa, which I hadn’t heard before), and an insert with liner notes and lyrics and tracklistings and whatnot. For those of you who are maybe young and don’t know what a record is, it’s basically like a Laserdisc, except that it stores audio instead of video and is read by a stylus instead of a laser. Hopefully that cleared things up. The insert mostly has liner notes and lyrics and stuff. Due to my lack of Japanese knowledge, this is of somewhat limited use to me. 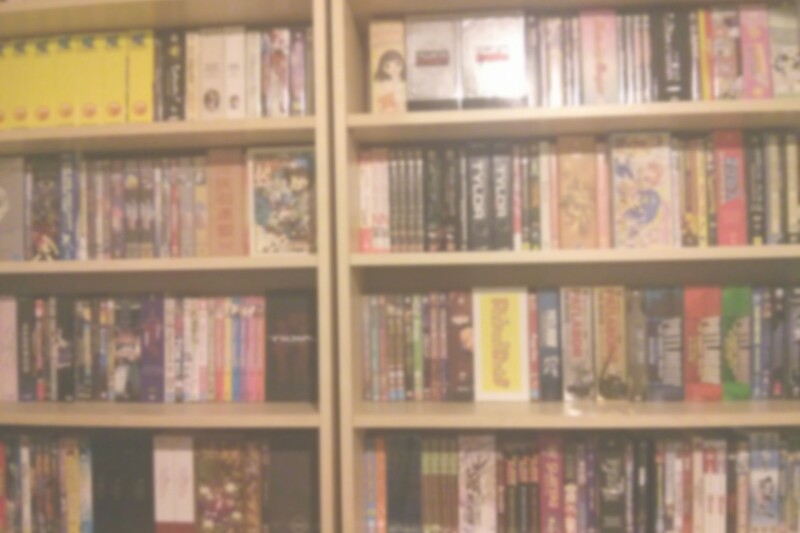 And due to the poor quality of my phone camera, it’s not of much use to anyone else. I could probably find some way of scanning this if anyone really wants to see it. One thing people tend to say is good about LPs is the cover art. Since it’s all big and stuff. 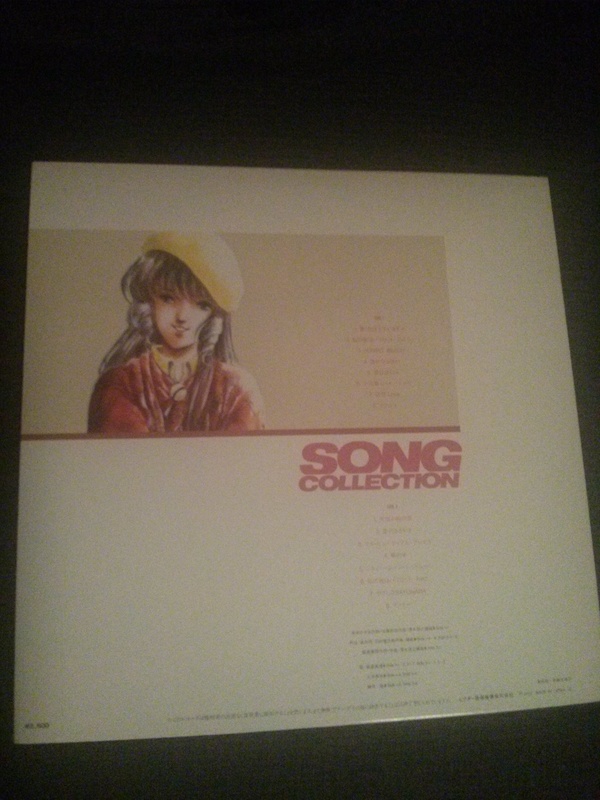 And yeah we have nice pictures of Minmay on both sides. So, I’m sure you’re wondering what the music’s like. 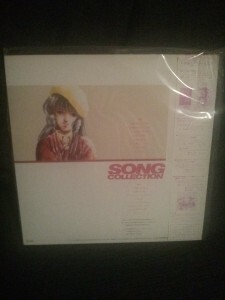 Well, to be honest a lot of the songs Minmay sings in the series are pretty awful… many an anime fan has been driven insane by “My Boyfriend’s A Pilot”. 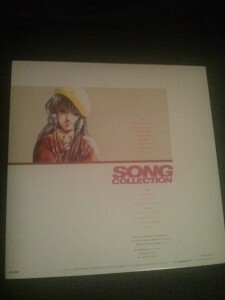 But some of them are pretty good, if something of an acquired taste… and the new ones written for the movie are rad if you like 80s J-Pop. And then there’s the OP and the ED which sound like every other mecha OP and ED and therefore are great. Nothing comes to mind about the Misa image songs except that the first is basically a spoken word thingy over an instrumental background. I’m relistening to the other one to remind myself what it is… I guess it’s basically just standard J-Poppy ballad type stuff. But yeah, the highlights of this are probably Ai Oboeteimasuka and Tenshi No Enogu De from the film, as well as the OP and ED from the TV series in all their classic mecha show boomy male voice reiterating the title goodness. In fact, based on how different tracks on this record sound, I suspect a previous owner may have just listened to Ai Oboeteimasuka over and over. Or I might just be projecting. 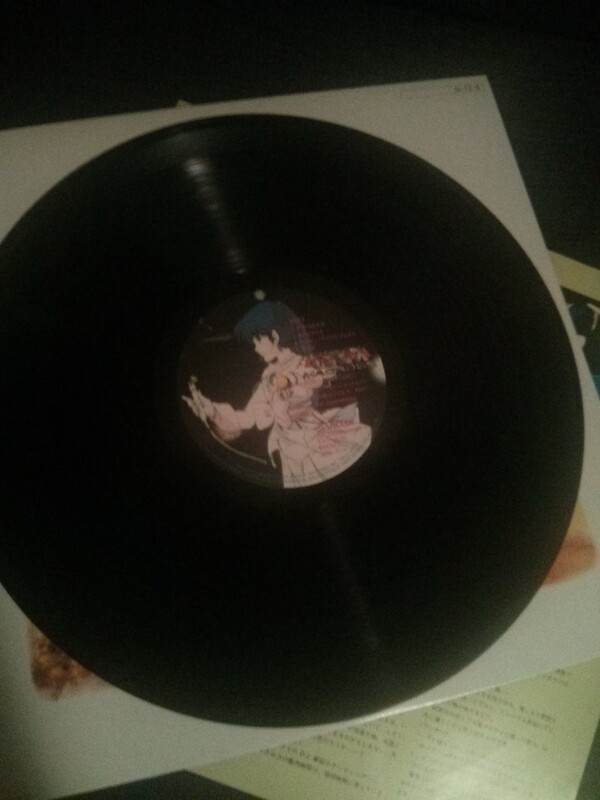 But seriously, My Boyfriend’s A Pilot is on this record twice! Twice! God damnit! 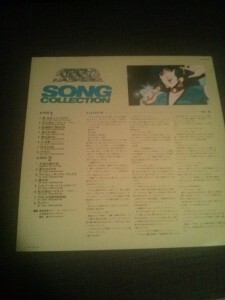 Macross songs improved a lot in the 90s. 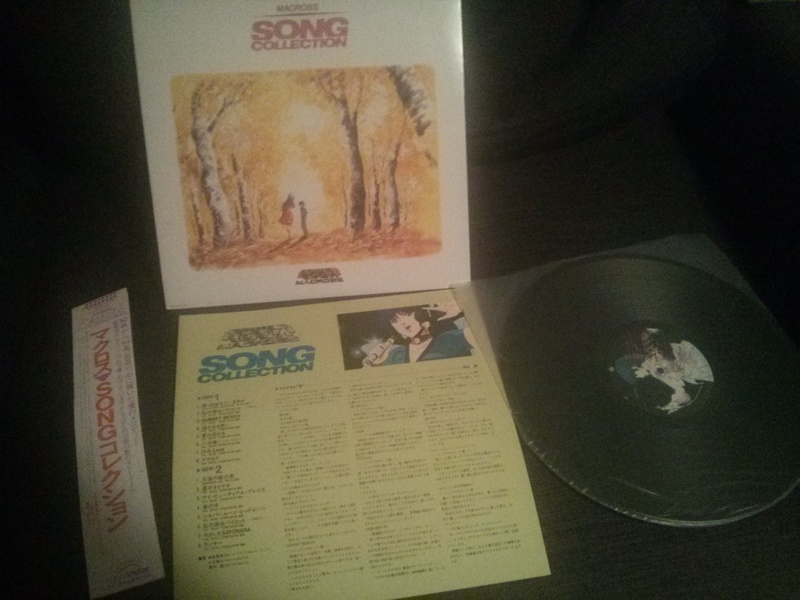 And I’ve put out another cop-out “here’s photos of a thing I got” article… even though I’ve got a half-written review as well as a clickbaity listicle that I’m writing with a friend. Oh well, I’m a hack.